McGanniversary Week: The Eighth Doctor Adventures | Warped Factor - Words in the Key of Geek. And perhaps mindful of the clamour for further post-movie outings for the newest of the Doctors, the BBC began publishing the Eighth Doctor Adventures range of novels on 2 June,1997- Terrance Dicks' The Eight Doctors kicking things off with the romanticised amnesiac recovering his memories thanks to meetings with his previous selves. Fully reacquainted with his memories, he & new companion Samantha Jones were soon tackling bloodsuckers in Vampire Science, written by the team of Jonathan Blum & Kate Orman. 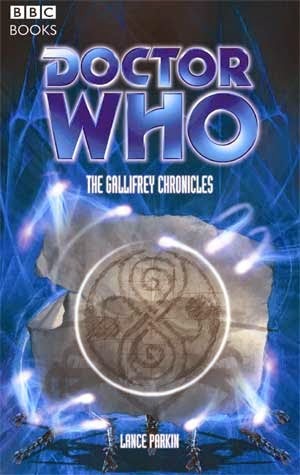 In all 73 books were published, the last being Lance Parkin's The Gallifrey Chronicles- which hit the shelves on June 2, 2005. Three months prior we'd have seen the Ninth Doctor making his small screen bow in Rose! Samantha "Sam" Jones was a British teenager from 1997, she accompanies the Eighth Doctor aboard the TARDIS solo (for the most part) from his first story up until the 18th novel, The Face-Eater, with a couple of exceptions. Susan takes the role she held alongside her grandfather in John Peel's Legacy of the Daleks, while Stacy Townsend & the Ice Warrior Ssard join her for Placebo Effect. Fitz, an aspiring guitarist in her late 20s, comes aboard at Sam's side from The Taint until The Blue Angel where Sam's place is taken by Compassion, a member of a once-human race called the Remote who slowly begins a conversion process into a living TARDIS! 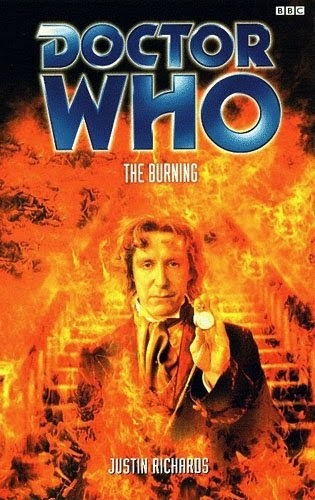 The Burning (book 37, released August 2000), marks the beginning of a second Earth exile of sorts for the Doctor, and while he's trapped alone on our blue planet he experiences the events of Casualties Of War, The Turing Test, Endgame, Father Time- during which he gains an adoptive daughter, Miranda Dawkins- & Escape Velocity. 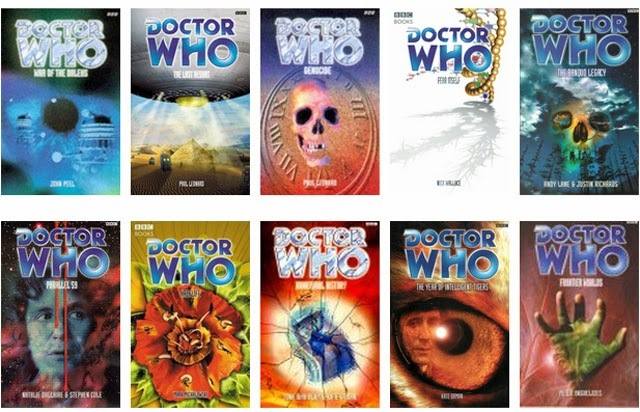 The last of these is notable also in that it introduces another new companion for the Doctor, as Anji Kapoor, a London Stock Trader, joins he & Fitz. She'll have departed by the time of Emotional Chemistry, Trix stowing away on the TARDIS to take her place. From then on the trio of the Doctor, Fitz & Trix will continue to the end of the line as Gallifrey is destroyed- though author Lance Parkin leaves us with a cliffhanger as to the ultimate fates of both the Doctor & his home in a possible signposting of the Time War! "As for his future — he has three ninth incarnations"
This may be a reference to a section of The Tomorrow Windows in which he is indeed shown three possible future selves before the Windows settle on their final choice as to what the new man will look like. 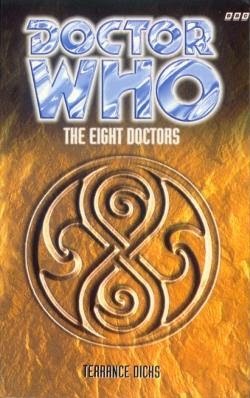 The Eighth Doctor’s visage was, however, licensed in official spin-off material, including a new set of novels, called the “New Eighth Doctor Adventures,” and Doctor Who Magazine comic strips. In fact, the Eighth Doctor was the official and current Doctor until 2005, just before the series returned to screens, making him, technically, the longest serving Doctor." He's not sure on the possibility of a further comeback, though. "You know what? I don't expect to ever to be involved again. But I expect I’ll be surprised one day by something. That's what Doctor Who's about. I expect to be surprised. You can never say never with this thing. But it would have to be of the same heart and magnitude, and proper, and true. I wouldn't want to run away with the rights and make my own spin-off. You're either in the Doctor Who family… or you aren't." Surely he's earned his place within it by now?